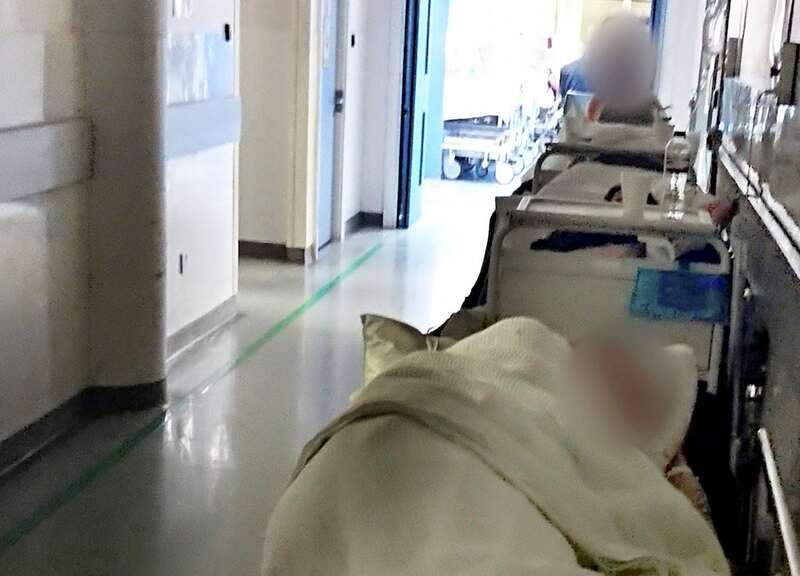 This shocking photograph shows patients waiting on trolleys in a cramped hospital corridor – just months after three people died after delays in treatment. The snap shows three trolleys stacked up against the wall at scandal-hit Worcestershire Royal Hospital which visitors claim is “bursting at the seams”. The picture, taken on Wednesday (1/11), suggests the hospital is already under strain with the worst of winter still to come. 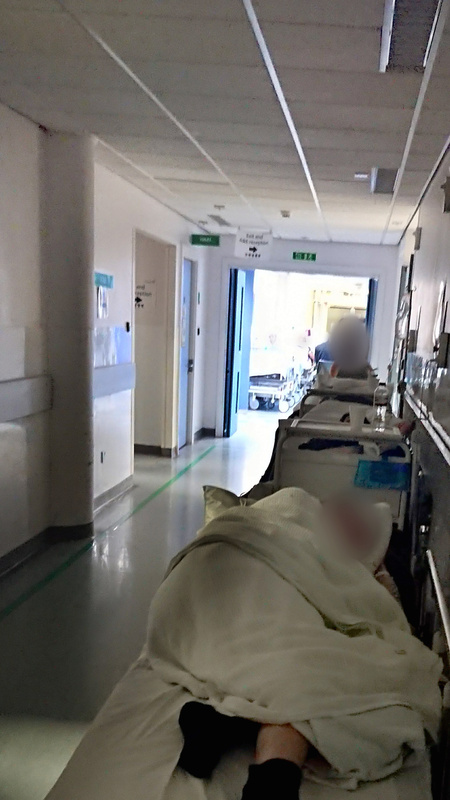 The photo taken by a member of the public which shows at least one person on a hospital trolley in a corridor of Worcestershire Royal Hospital. The person who took the picture, who does not want to be named, said: “I was visiting someone when I saw three patients in distress on trolley’s in the corridor. “I was shocked that conditions were so bad that staff were having to stack up patients in this way. “It’s not their fault, they are doing the best they can but the staff just can’t cope. “I was also shocked to see, what appeared to be confidential patient records scattered across the desk at the nurses’ station. Earlier this year, two patients died after lengthy waits on trolleys in corridors, and a third was found hanged on a ward at the same hospital. One patient died from a cardiac arrest after 35 hours waiting in a corridor. Another, who had an aneurysm, was taken into the resuscitation area but died. A third death, reported to have been someone hanging themselves on a ward, also happened elsewhere in the hospital. The three deaths took place between New Year’s Day and January 3 this year at the hospital, which remains in special measures. The organisation was rated ‘inadequate’ by the health and social care regulator, the Care Quality Commission, which has ordered the Worcestershire Acute Hospitals NHS Trust to improve. Other people have told of their horror stories at the hospital online. General View of Worcestershire Royal Hospital. Writing on Facebook, Lisa Ventura said: “My dad suffered a severe seizure on the afternoon of Thursday, October 19 and was rushed to the Worcestershire Royal Hospital in an ambulance. “I can attest to the fact that the corridors are lined up to the rafters with beds and patients and it is much worse up there than depicted – the department is bursting at the seams with all the staff running around like mad and rushed off their feet. “That said, despite this, my dad still got treated quickly after arriving at the hospital and was treated brilliantly in extremely challenging surroundings for the staff. “Everyone who looked after him was kind, compassionate and caring – some of the staff looked exhausted but they still had smiles on their faces – I don’t know how on earth they do it. 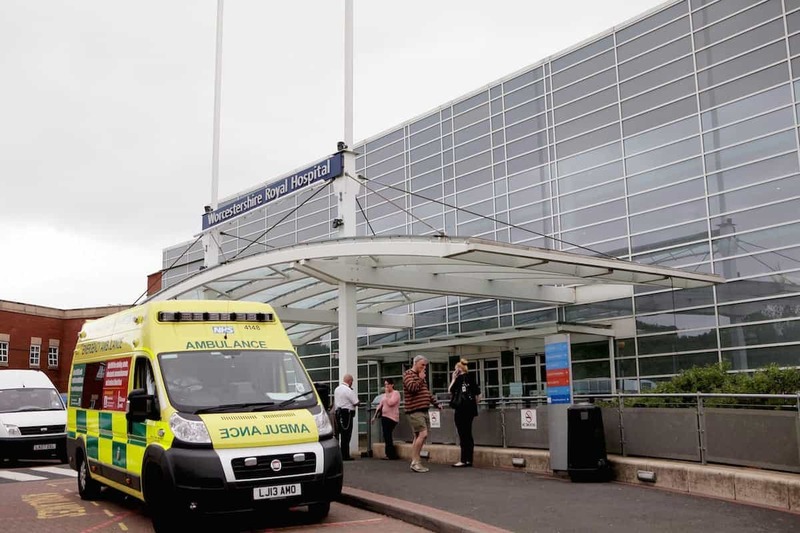 A spokesperson for Worcestershire Acute Hospitals NHS Trust said: “We recognise that we still have challenges around patient flow and the impact this has on crowding in our emergency department. “Over the past few months we have been working hard on improving patient flow through our Worcester site. “We have already started to see some improvements, including periods in the last few days where we have successfully kept the corridor clear.